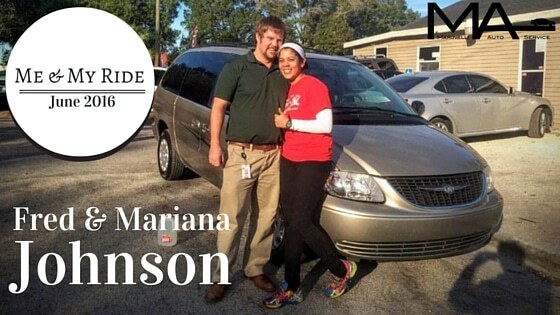 Nothing can keep Fred and Mariana Johnson stagnant for too long. Always on the go, heading to the beach with friends, hanging out at Universal Studios, or out exploring Orlando, the Johnsons are lovers of life and activity. Fred and Mariana’s love story is sweet. Mariana, who has spent several years in the states but is originally from Venezuela, was teaching teen moms in Costa Rica while Fred was there studying Spanish. Fred knew right away that Mariana was the girl for him and asked her to be his girlfriend on her birthday two years ago. Mariana wasn’t so quick to think Fred was “the one,” but she decided to give him a chance. However, it didn’t take long for Fred to win her heart. After her week-long birthday celebrations, she had a change of heart and knew she’d spend the rest of her life with him. “We met, started dating, and got married all in one year,” shared Fred, “We just celebrated our one-year anniversary,” he said with a big grin. They moved to Orlando at the beginning of this year, and they enjoy being closer to their family, friends, and Fred’s home church. Fred jumped back into teaching in his new position teaching finance and technology at Oak Ridge High School, and Mariana began teaching tennis lessons. Buying the van used was important to them. They spent a lot of time consulting with Andrew about which minivans would serve them well. He did a quick background check on the VIN before they brought the car in for a pre-purchase inspection. Afterwards he advised them on how fairly priced the vehicle was compared to how much they should plan on investing in it in the future. They were able to purchase the van in cash with money left in their budget to do some repairs which allowed them to feel great about their purchase. Their one concern about the van is that it’s 13 years old with 100,000 miles already under its belt. Not being the first owner, they don’t have a history on the vehicle, and they want to make it last. That’s where Marinelli Auto Service comes in. 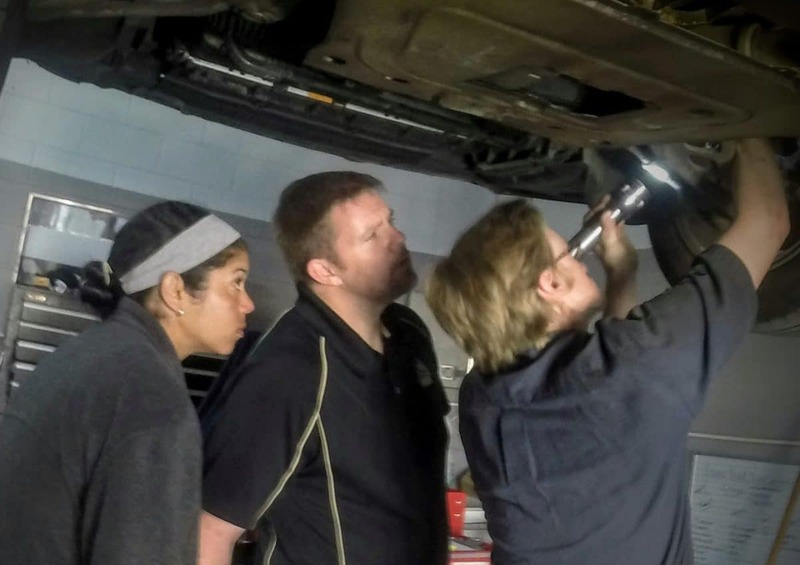 When the Johnson’s first moved to town, they asked their friends John and Brandy for a recommendation for a good mechanic: they sent them to Marinelli Auto Service. John and Brandy had yet to bring in a car of their own (though they have since), but they had heard positive things from others they knew and trusted. Fred said that the first thing that stood out to him came right after the van’s inspection. However, with the detailed inspection and a plan for what to expect with repairs, her concerns are now minimal. It’s because of the detail Andrew provided that the Johnson’s can plan for repairs in a reasonable way and enjoy the time they spend with their friends and family in their “road-trip machine” Chrysler Town & Country.